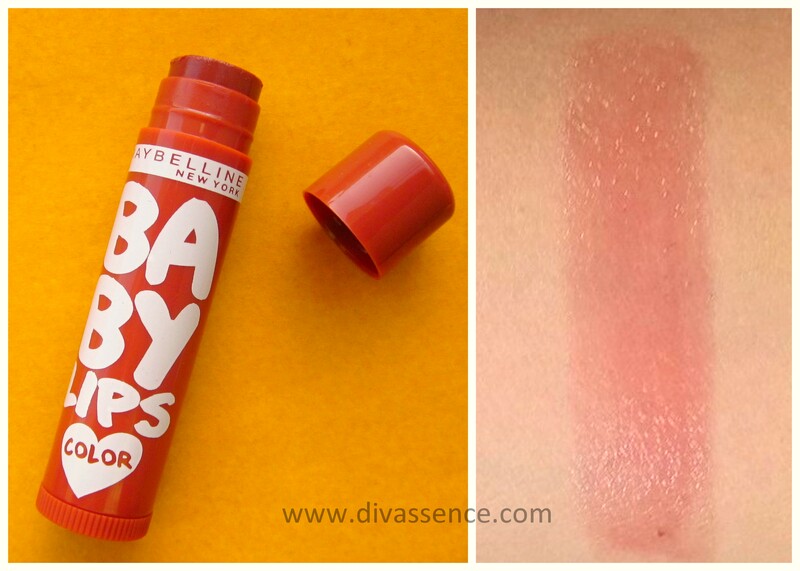 The all new Maybelline Spiced Up Baby Lips lip balms come in three variants: Berry Sherbet, Spicy Cinnamon and Tropical Punch. 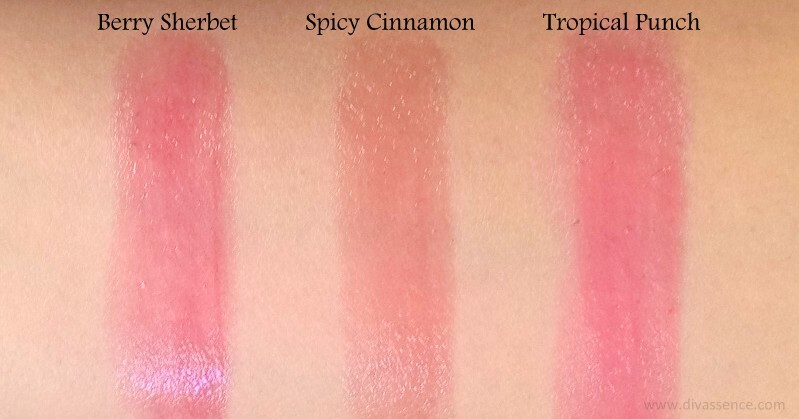 Tropical Punch is a deep warm pink. Spicy Cinnamon is a brown tinted lip balm. Berry Sherbet (reminds me of Roohafza!) 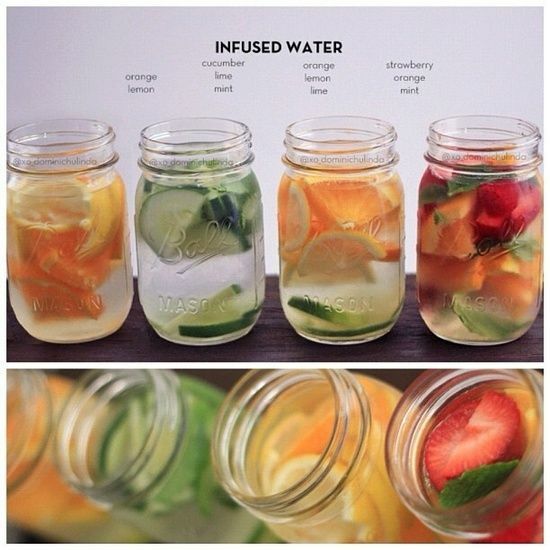 is a warm berry color with a hint of red in it. 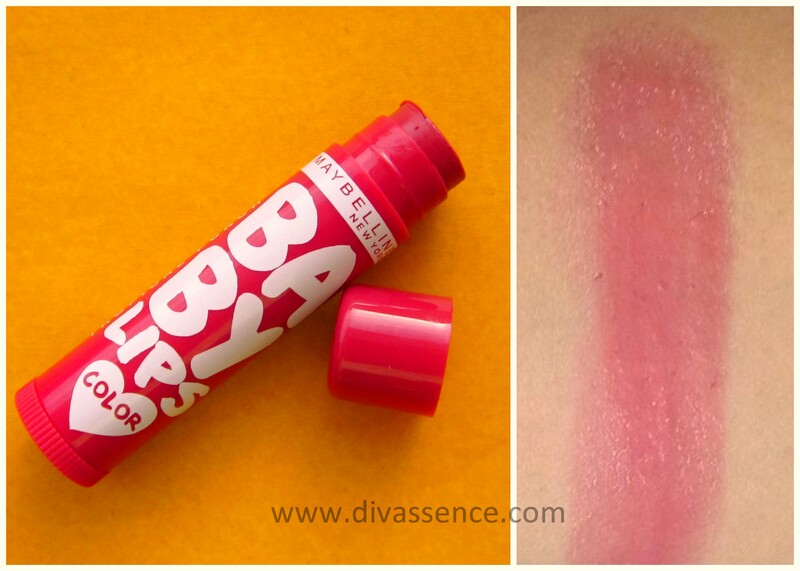 Now this is one lip balm collection that caters to warm and dusky skin tones. Hurrahhh!! 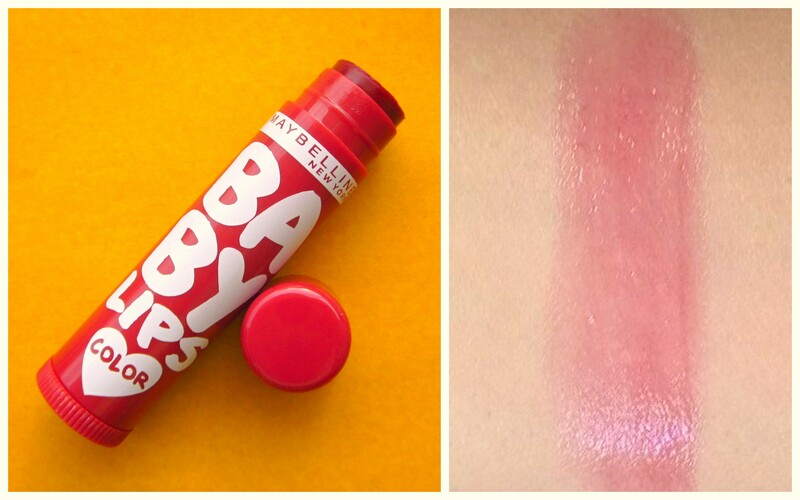 If you love lip balms and find that neon orange and cool tone pinks do not suit you, try these ones! They are decently pigmented lip balms. 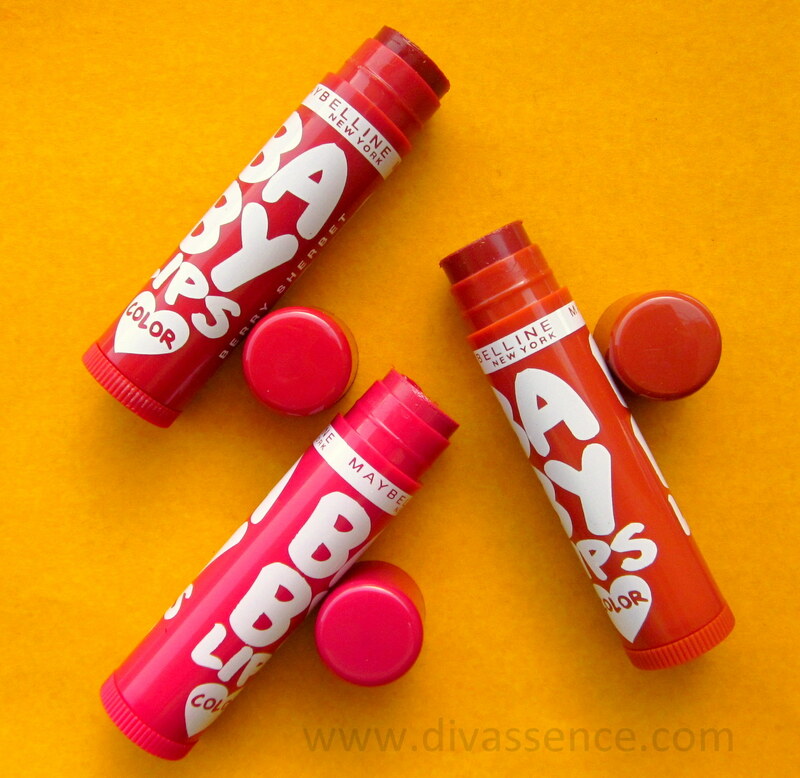 Personally, I liked the scent of the Spicy Cinnamon lip balm since I love cinnamon but if you are the kind who hates strong scents in makeup products, then do check the testers before buying them. 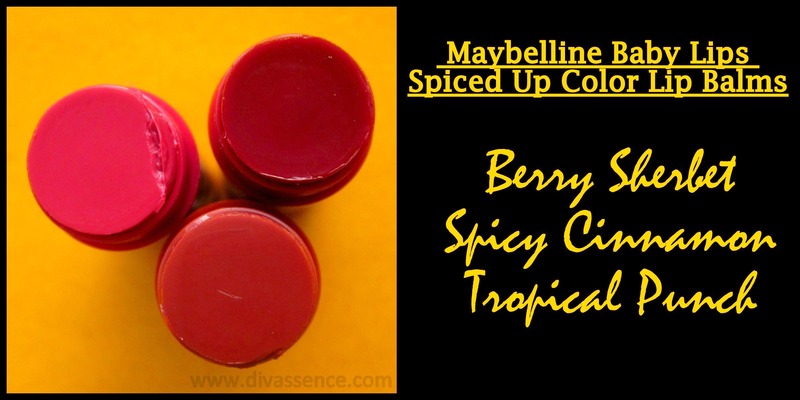 More on the Spiced Up lip balms in individual reviews! Stay tuned! Reviews are up folks!